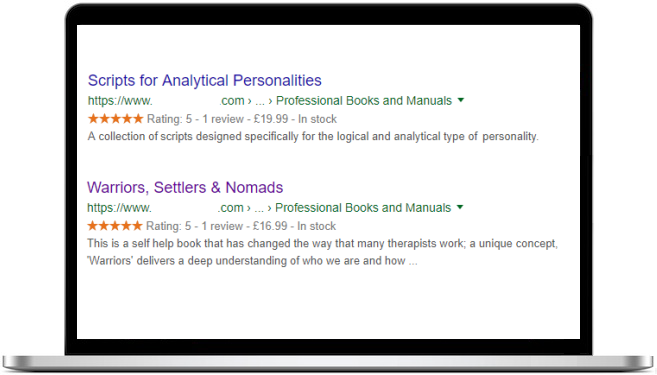 We were asked by a therapist trainer to improve their search engine listings. As part of an SEO technical audit, we noticed the website content wasn't outputting relevant structured data which is now preferred by search engines. Adding this missing schema markup resulted in improved search engine results which helps them stand-out from their competition.